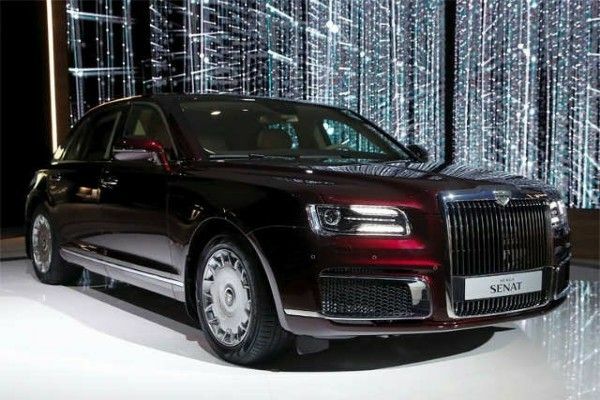 The Aurus Senat presidential limousine and Senat sedan has been unveiled at the Moscow International Automobile Salon on Wednesday. 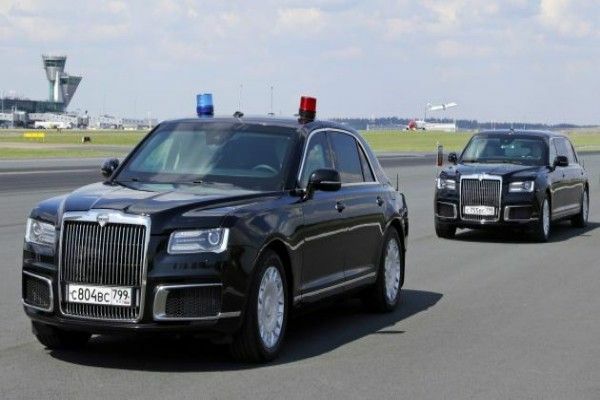 The Aurus series which includes a minivan, Sport Utility Vehicles and motorcycle is jointly developed by Porsche and Bosch with an assistance from Moscow-based Central Scientific Research Automobile & Engine Institute (NAMI). 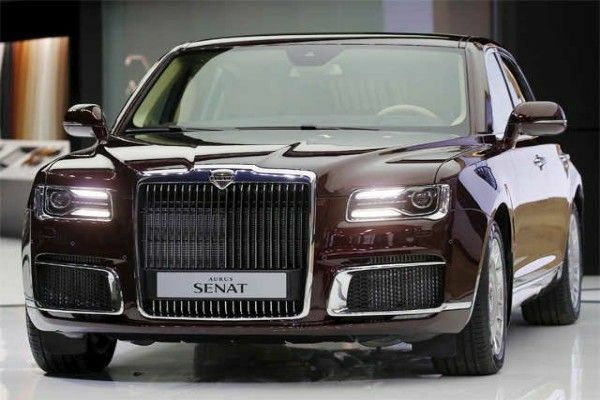 The Senat is powered by a hybrid powertrain with a 4.4-liter V-8 delivering 598 horsepower while the electric motor adds 40 hp.It has a Russian-designed nine-speed automatic gearbox. A 6.6-liter V-12 version that will deliver over 800 hp is still in development. 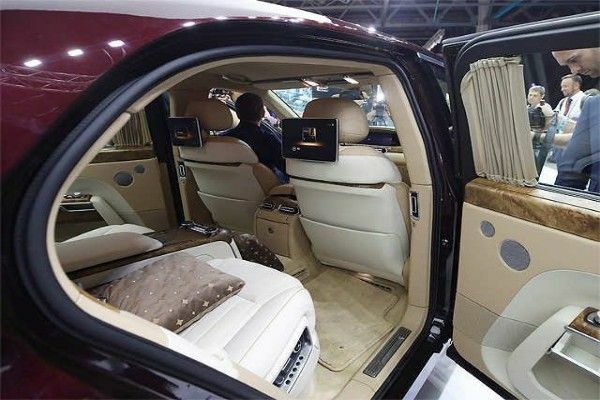 The interior is well furnished like that of Bentleys and Rolls-Royces. Other features of the Aurus Senat Limo includes it's ability to fully submerged in water while keeping the occupants safe. It is also equipped with Kevlar tyres that keeps the car going when shot and punctured. 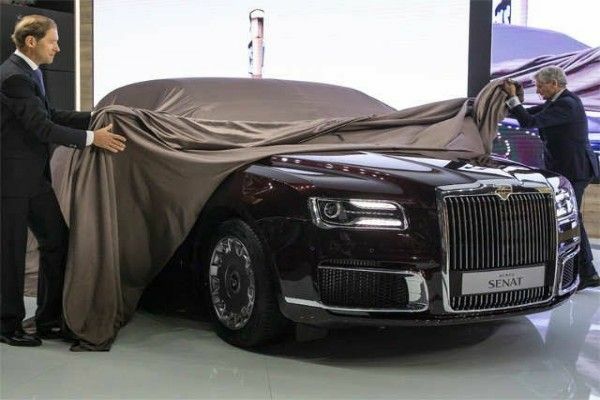 The Aurus series and other newly unveiled products are obvious response from Russia to overcome western sanctions by reducing its dependence on imported goods and technology. 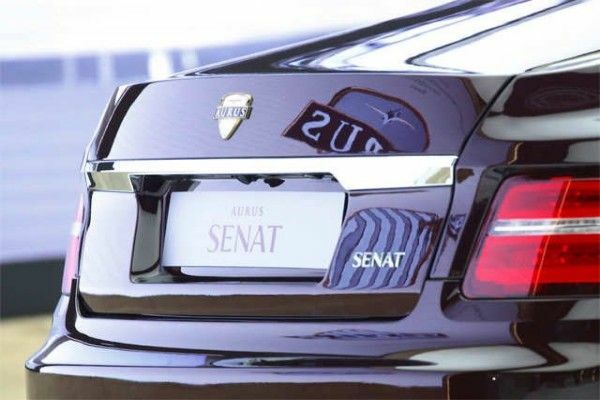 Deliveries of the Aurus Senat starts early next year with about 150 vehicles for each of the first two years . This will be increased to like 10,000 vehicles in 2021 based on demand. 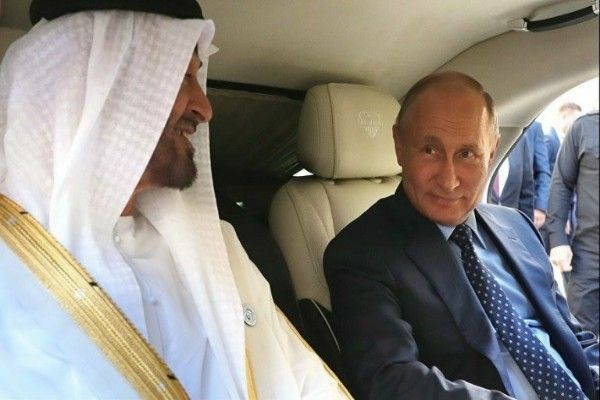 Few months ago, the Abu Dhabi Crown Prince was amazed when Vladimir Putin shows off his new Rolls Royce-like Limo to him .The Crown Prince exclaimed “Wow, how nice, It’s better than my Mercedes” with excitement. 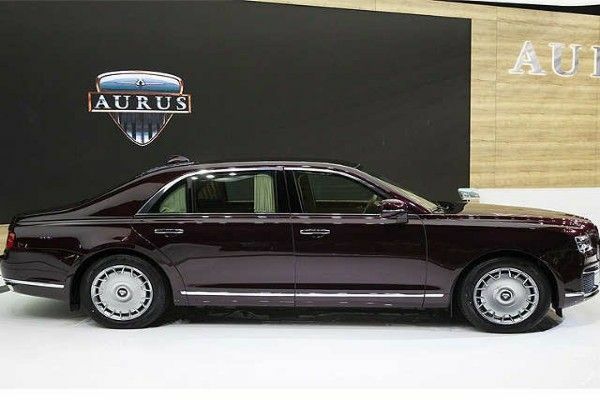 "Other features of the Aurus Senat Limo includes it's ability to fully submerged in water while keeping the occupants safe"
Looks like a deformed rolls royce. Finally, Mother Russia has taken over the world while Amerika is relegated to the background! Kill the beast while he's wounded - Flawless! 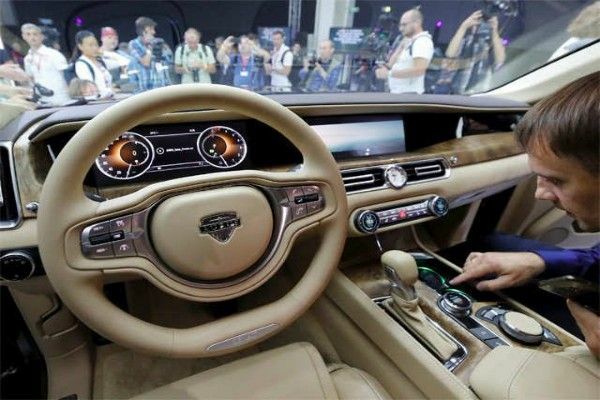 The interior build looks so comfy in a way you would think it's a Rolls Royce from within. Rolls Royce Phantom/ Bentley Mulsanne copycat. Dupe ti e. Thank God for your own too. Cos it is good for the economy, vthey said. I used to think this way many years ago but my thinking has changed. Infact my friends then used to call me Mr Russia. US is by far the most developed country in every aspect. This Russia you are hyping does not have the sophistication and economy of California. Tell me one other aspect Russia can compete with the US. Tell me the innovations that has come out of Russia in recent years. The US is evolving everyday and spending hundreds of billions into research while Russia will go to the media to brag about a missile that can reach thousands of miles away. The fact that Russia is still largely dependent on oil and gas just like Nigeria, Angola, Saudi, Venezuela says a lot about the country. In recent years, the US has dominated the technology space. Even China can't stand them. China can only steal their intellectual property to make gadgets and sell to poor countries. If US wants to crumble that Russia's economy today, they have what it takes. The problem is that countries like Nigeria will also be affected. All the US need to do is to flood the world market with oil. Yes, the US has lots and lots of untapped oil wells. Most of you hating the US are just jealous. Some of you do it for religious and political reasons while some just do it as a way of sympathizing with the underdog. US is by far the most powerful in the world. On a lighter mood, will you select a Russia visa ahead of a US visa? . If no, you are a big hypocrite. This is more than a car, this is a machine. Finally, a Beautifully crafted Armoured Presidential mob, not that appallingly loathsome American beast.